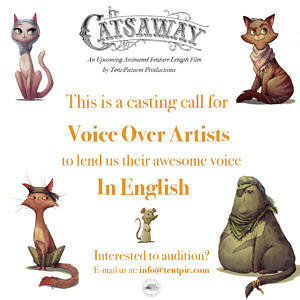 Catsaway VoiceOver Casting! | TenPic! We’re getting very close in sharing with you our first animation film called Catsaway. Calling all the creative voice artists to join in the casting.